"Every creature has a habitat in which it thrives, and one in which it withers"
The Institute for Person Centered-Care seeks to transform systems of care and delivery of service to one that cultivates a habitat in which we all can thrive! St. Ambrose University's Institute for Person-Centered Care (IPCC) is leading the conversation on transforming people, organizations and systems approach to the delivery of care. Person-Centered Care (PCC) is a multi-discipline approach to care that is: co-designed, relationship-based, health-focused, accessible, and integrated. "Changing the delivery of care with a person-centered focus will require a long-term shift in our practice and indeed, our thinking." Person-centered care places individuals and their families at the center of their care, as equal partners with providers. People are treated as experts, working with professionals to guide all aspects of their care to reach their life goals and achieve the best outcomes. To educate and strengthen an interdisciplinary workforce that is fluent in a person-centered care philosophy and practice. To promote opportunities for professional development on person-centered care, infusing practical application of person-centered care across systems and disciplines, while piloting metrics to help individuals, organizations and systems assess outcomes. Working with local, regional, national and international stakeholders, the Institute for Person-Centered Care will develop, pilot, and evaluate innovative models and practices that add to the developing person-centered care evidence base. "There is something wrong in a society when basic health care (including behavioral health care) is not accessible to all, is impersonal, fragmented, cost-prohibitive, disease-based, and – in the case of behavioral health – deeply stigmatized." According to NAMI, the economic costs alone of untreated mental illness, trauma-related alcohol and drug abuse have been estimated at $161 billion. The human costs? Incalculable. People don't have access to healthcare. The primary mechanism to deliver healthcare is through a doctor visit or trip to the ER. Person-centered care seeks to turn this upside down. What are the structural barriers to healthcare, and how can we advocate for policies to reduce these barriers? People with mental illness get arrested at a higher frequency and for nonviolent low-level offenses. They tend to stay in jail longer, are more likely to be isolated, and often get stuck in the criminal justice system. Globally, 1 in 20 people still lacks access to essential health services that could be delivered at a local clinic instead of a hospital. And where services are accessible, they are often fragmented and of poor quality. The World Health Organization (WHO) is supporting countries to progress towards universal health coverage by designing health systems around the needs of people instead of diseases and health institutions, so that everyone gets the right care, at the right time, in the right place. 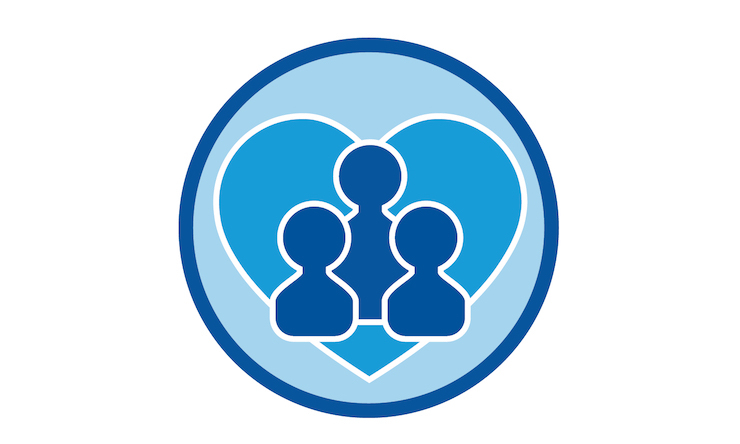 The Institute for Person-Centered Care allows St. Ambrose University to be an incubator for person-centered care thought, leadership, practice, and research. We are dedicated to strengthening the region's workforce by educating and training those on why it is important to practice the person-centered care approach. 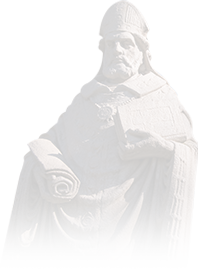 The Institute is well-placed at St. Ambrose University because it reinforces the University's commitment to social justice, health equity, and action/service. Person-centered care places individuals and their families at the center of making them equal partners with providers. Elements of person-centered care include collaborative decision-making among an inter-professional, multi-disciplinary team of professionals, the person and caregivers. These decisions will be driven by the person's values and preferences. How will the IPCC Contribute to the Community? Workforce Development: To educate and strengthen an interdisciplinary workforce that is fluent in a person-centered care philosophy and practice. Continuing Education: To promote opportunities for professional development on person-centered care, infusing practical application of person-centered care across systems and disciplines, while piloting metrics to help individuals, organizations and systems access outcomes. Building the Evidence Base: Working with local, regional, national and international stakeholders, the Institute for Person-Centered Care will develop, pilot, and evaluate innovative models and practices that add to the developing person-centered care evidence base. What are the steps to implement person-centered care principles? Work collaboratively to develop an individualized care plan based on the person's preferences and goals. Utilize inter-professional collaboration, placing the person's needs and goals at the center. Utilize one primary point of contact for an individual's care. Provide regular communication to the individual and his/her caregivers. What are the elements of person-centered care? Join the conversation! We welcome everyone, whether you are a person under care, a caregiver, professional, administrator, elected official, or legislative advocate. We are committed to business and advocacy organizations who serve people and are passionate about transforming individual, organizations, and systems of care to be person-centered, efficient, and effective.